my life as a brownie. : Apology. This is a letter to those who take the time to read my blog. I apologize I have not taken the time to write during the holidays since it was a busy time, eating, drinking, dancing and laughing away. 2012 I will make it a point to keep posting. NO MATTER WHAT!!!! Anyways, let's talk about good reads. It's about a young South Asian woman growing up in the North American culture and how different her life was compared to her friends. It is also about the author re-living her childhood for the second time the way she wanted to in the first. 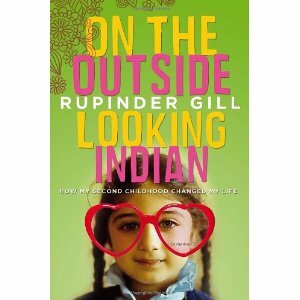 I am also going to post a video of the author-Rupinder Gill and how her experience after writing this memoir has changed her life.